CeeLab leases the XG55 and we do special bundles when combined with our CeeCloud Video Conference Service. This easy to use HD video conferencing system offers a stylish, affordable solution for everyday business communications. 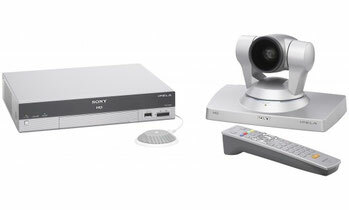 The compact video conferencing system features a High Definition camera with advanced new 'BrightFace' technology by Sony. You'll enjoy crisp images in any lighting conditions – even dimly lit rooms where a projector's being used. Superb picture quality is partnered by clear, echo-free stereo audio so every participant can be seen and heard clearly. 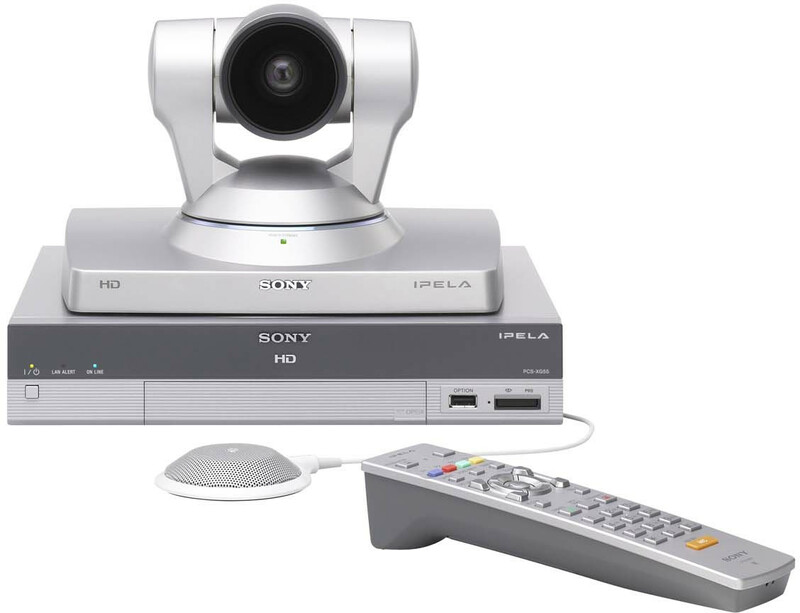 Everything's included: video codec unit, PTZ camera and microphone, plus a cable for connecting a video monitor, TV or display. Set-up and operation are refreshingly straightforward. The supplied remote commander allows easy one-touch dialing from your contacts list. Conference participants can share smooth, clear video and voice together with presentations from your PC. 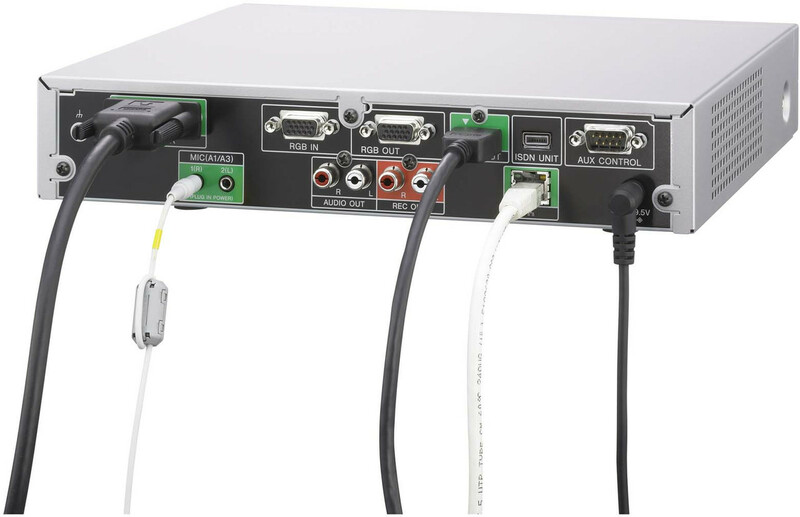 The PCS-XG55/9DS system bundle includes PCSA-DSG80 Data Solution Software for simultaneous sharing of HD video and presentations from a connected PC. This easy to use HD video conferencing system offers a stylish, affordable solution for everyday business communications. The PCS-XG55/9DS system bundle includes PCSA-DSG80 Data Solution Software for simultaneous sharing of HD video and presentations from a connected PC. Please note camera is included. Please note omnidirectional microphone is included. The PCSA-DSG80 solution software upgrade is included.